The Daiwa Tanacom 750 Power Assist reel is an electric automatic power reel from Daiwa. The device is a more affordable all composite body reel that has similar technical specifications to its predecessor, The Tanacom Bull. The Tanacom 750 power assist reel has a Gear ratio of 2.3:1 thus increasing power output efficiency and energy consumption. It has a line capacity of 60 pounds per every 1100 yards and a Max Drag Force of 70KG suited for heavy hauling and reeling in. The Daiwa Tanacom Assist Reel is well suited for deep drop fishing. This reel offers convenience with its simple functionality. A perfect blend of functionality and affordability. The power assist reel has a washable design casing that makes it cleaning hassle-free and ensures all the working parts are protected from water damage. Tanacom reels are built with brass and aluminum bronze gearing with four heavy duty ball bearings. It also comes equipped with a heavy-duty rod clamp. The series boasts of a maximum drag of 48 pounds. The Daiwa Tanacom Assist Reel 750 has a handy built-in level winder that smooth the line back onto the reel spool in an even manner, and with a minimum of hassle and the star, wheel adjusts the amount of drag resistance in play. The Tanacom Power Assist reels have quality and premium feel for an affordable rate making your fishing experience unrivalled. The reel is compact, yet powerful and can run on your boat’s battery or a rechargeable lithium ion battery that gives you more flexibility. The Daiwa Tanacom Power Assist reels make deep drop fishing easier for anyone. From grouper, halibut, snapper to tilefish, it helps you overpower deep-sea catches. You only need to hold on to the handle and let the power assist do the work of retrieving large catches from the deep trenches of the sea. The unit boasts of 80lbs per 880 yards, 100lbs per 660 yards and 120lbs per 550 yards line capacity depending on the fishing line braid chosen. It has a line retrieve per crank of 6 inches thus improving performance and ergonomics. The Daiwa Tanacom Power Assist reels are easy to use and program with the reel automatically measuring line let out. 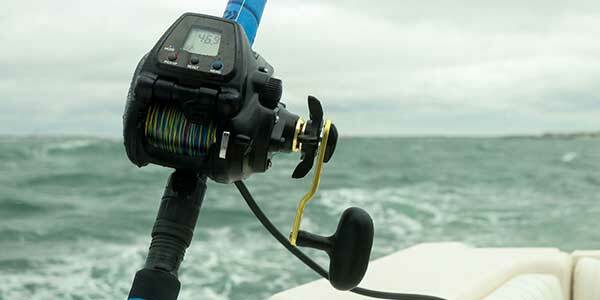 The reel stops automatically as your lure touches the surface. The LCD display is extremely user-friendly and is highly visible in each and every lighting scenario. 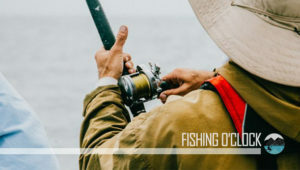 The oversized line aperture is another brilliant feature to this fishing reel as it enables extra clearance for kite swivels large knots, scenarios where this type of reel is needed. The Daiwa Tanacom Power Assist reel series is more affordable due to the new composite body. Compared to its predecessor, The Bull, you get maximum power at almost half of the cost. The Daiwa Tanacom Power Assist reel series Variable-speed lever control also includes the option for manual winding. It’s equipped with an automatic shut off function which turns-off the power level off as soon as the lever reaches the surface. 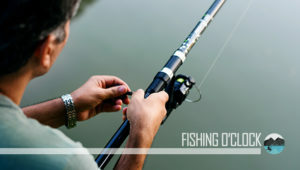 If the user ran out of batteries during fishing, they can go for the manual winding setting. The Daiwa Tanacom Power Assist reel series easy to clean as it comes with a washable design. 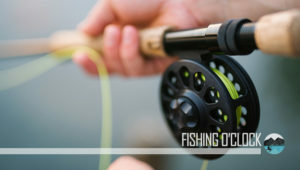 The Tanacom Assist Power Assist reels come powered by a 12V lithium-ion battery pack or an optional charging system connected directly to your fishing vessel. The series comes with extensive control features. It is also long-lasting and comes with a sealed and waterproof drag and electronics system. The Tanacom 750 power assist reel comes with brass, and aluminum bronze gearing with four heavy duty ball bearing that does not wear out quickly; this ensures years of continued service from the device. The Daiwa Tanacom Power Assist reel series comes with a brief manual that is not well detailed. This makes it harder for new users to adjust sufficiently. Despite having a waterproof body, the Tanacom power Assist series does not come with a protective casing to shield against environmental factors when not in use. The Daiwa Tanacom Power Assist reel 750 series weighs 1.26 kilograms thus making it a bit heavy and bulky to handle and store. The digital readouts are in meters thus making it hard for non-native metric system users to use. The series has a less premium feel as most of the external design elements such as the aluminum body from its predecessors were removed to increase affordability. The versatile Tanacom series makes deep drop fishing easier for anyone. 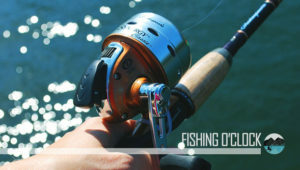 This best-selling fishing reel is affordable and features packed for its price point. Daiwa Tanacom Power Assist reel is fantastic for saltwater usage with both a sealed drag as well as electronics system which greatly increases the reels durability. In a nutshell, Tanacom Bull power assist reels are the ultimate multi-taskers.